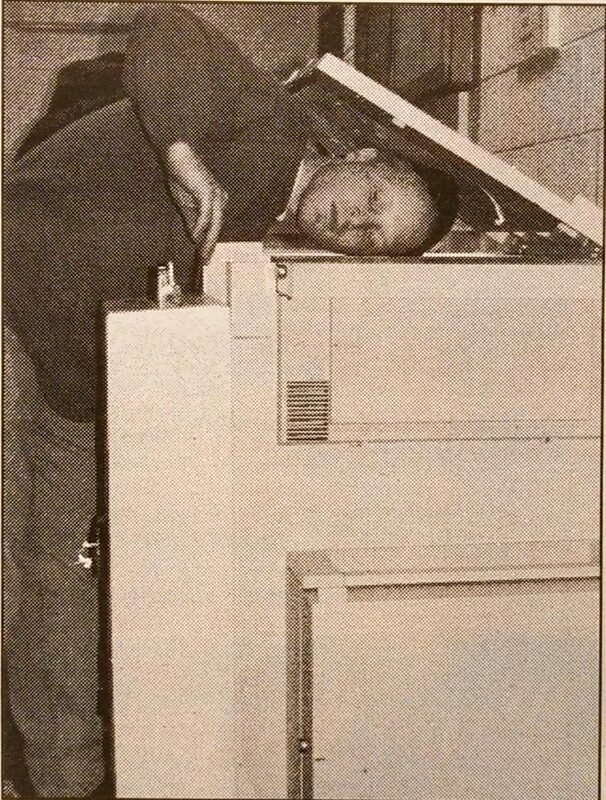 In the beginning, RyeSAC created the coin-operated photocopiers at Copyrite. But they were without copy card readers and RyeSAC said, “Let there be card readers.” And it was so. RyeSAC saw the card readers were good. The library also saw they were good, and cheaper than counting coins, and said, “Let us in on the card-reading action.” And it was so. Then Ryerson’s University Business services (UBS) decided it would be better if instead of using a copy card, students used their student identification cards to buy photocopies in the library. They are planning to install the new system next fall. The system would work much like a bank’s debit card system. Students would put money into an account. They could then use their ID cards in photocopiers in the library and around campus, but not at Copyrite. UBS tested the system with staff and faculty and in the architecture building. “We used architecture students as guinea pigs, and [the copy card system] works well” said Brunner. Michael Durrant, RyeSAC’s communications and services manager, said the proposed system is good for students, but he has his reservations. “It’s a disadvantage for students to have more than one or two cards,” said Durrant. But he has his doubts the system will be in place by next year. “Ryerson is going to … let us know. It’s the third time they promised to implement [the system] for September, [but] I believe it will be a reality,” he said. In time, the system may be expanded to other areas of the university such as meal cards and vending machines. Phelan said outside businesses may even get in on the system. “Harvey’s or McDonalds, say, might agree to set up a link and Ryerson might get a cut of it,” said Phelan. But Brunner said such an expansion is “far away.” More realistic is a “card-management centre” where students can put money into their accounts at any time instead of having to deal with a teller. As for privacy, Brunner said UBS will “know what amount they’re spending and we will have to know. If a student comes and says, ‘Where did my $10 go?’ we will know.” UBS will not know what the money is spent on.